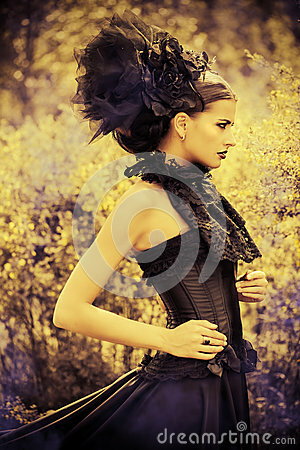 Beautiful brunette woman in long black dress and beautiful black headwear posing in the blossoming garden. Medieval, old times. Fashion. Gothic style. Sepia.